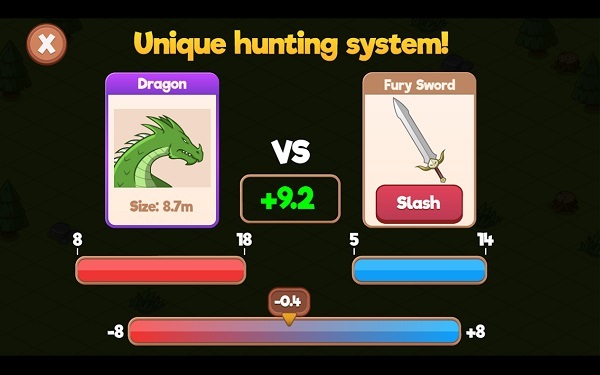 Alphaquest’s Medieval Life is a turn-based RPG title that features 2D graphics, a simple but crisp art style, and easy to master gameplay. The greatest amount of difficulty in Medieval Life doesn’t come from fighting strong monsters in this game, oh no. It comes from collecting the money to get better weapons and things for your house. It also comes from grinding through levels so that you can get access to better abilities and spells. Other than these two things, the gameplay isn’t particularly complicated. You can move from different areas by going to “Travel” and selecting from an area on the map. The areas are all level blocked so you’ll have to grind until you can get access. Once you’ve headed to a new area, it’s time to hunt. 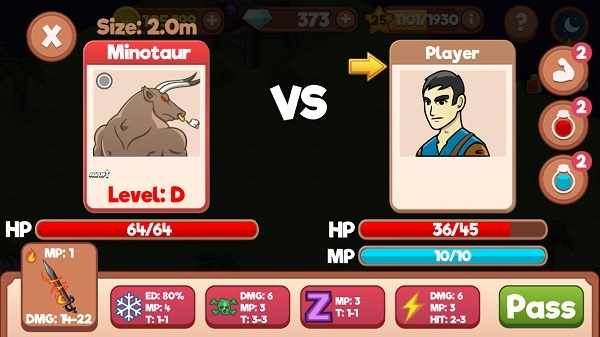 Monsters pop up on the map and you’ll have to tap them to fight. From here, you select your approach from the options below. Again, this is level locked. The main attack function relies on you hitting “Attack” at just the right moment to land a high or max damage blow on the monster. Better swords offer additional elemental damage. If you’re out of health you simply lose the fight, so there’s no actual risk here. You accept quests by tapping the main building on the map. Most missions are just “kill X amount of X monster.” It should be noted that there are stationary monsters who are basically bosses. These exist in addition to some particularly powerful monsters who pop up from time to time. 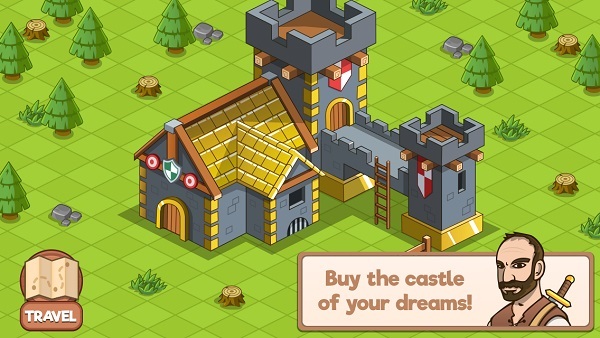 As with many Android games, you have your ads and your marketplace to get more gold, diamonds, or what have you to help you move through the game faster. These in-game purchases certainly don’t make the game easier since–again–it’s not a particularly difficult game to begin with. Lack of anything resembling difficulty aside, Medieval Life is a fun game that I pick up–usually in the morning–and play a little bit. There’s something about it that will have you wasting an hour without even knowing it without rewarding you for your dedication to continue playing. The thing here is that you don’t even care, you just keep playing.